Mumbai: State Bank of India, the country’s largest lender, expects the government to inject capital “any time", although it is yet to get a formal commitment on the amount, a senior official said on Friday. Analysts said the injection could be between Rs5,000-6,000 crore ($938 million to $1.13 billion). Earlier in the month, the lender said it expects a capital infusion of Rs3,000-4,000 crore by December-end or at the latest by March. The bank, which is 59% state-owned, has since last year sought as much as Rs20,000 crore from the government through a rights issue in order to build up its capital base. Analysts said higher subsidy bills and a likely shortfall in the government’s target for selling holdings in state firms is likely to limit New Delhi’s flexibility in injecting cash into state banks in the near term. “The government is struggling on multiple fronts, with oil subsidy ballooning, and the food subsidy bill on the cards," said Manish Bandi, Fund Manager, IIFL. The oil ministry has sought additional subsidy of Rs42,000 crore for the six months ending March, while plans to expand food a subsidy programme could worsen strained finances. In early October, Moody’s downgraded the standalone rating for State Bank of India, the country’s dominant lender, citing “modest" capital and weakening asset quality. Gupta said the government will ensure the bank has 8% tier I capital adequacy by March-end. At the end of September, it stood at 7.47%. 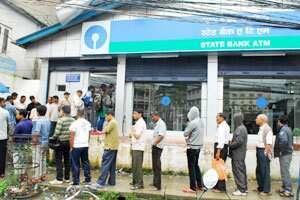 At 12:09 pm, shares of SBI were up 0.68% at Rs1,640. The stock has fallen more than 41% this year.